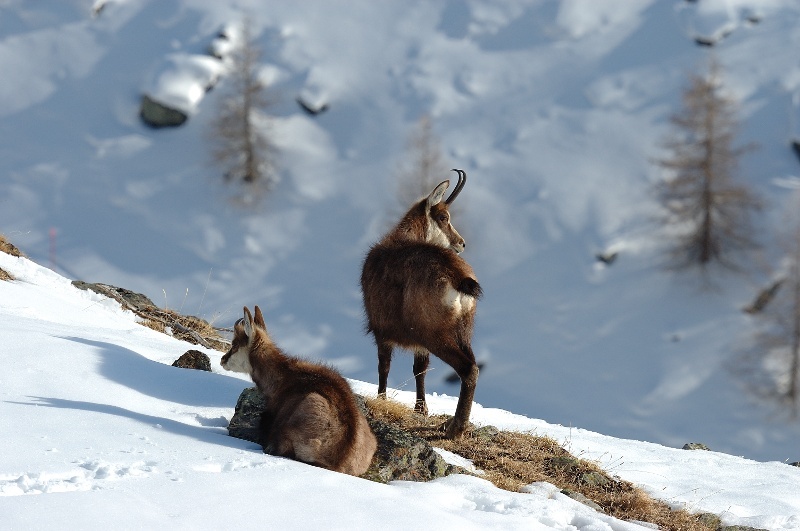 In winter, this must be the sunniest trail in Zermatt. 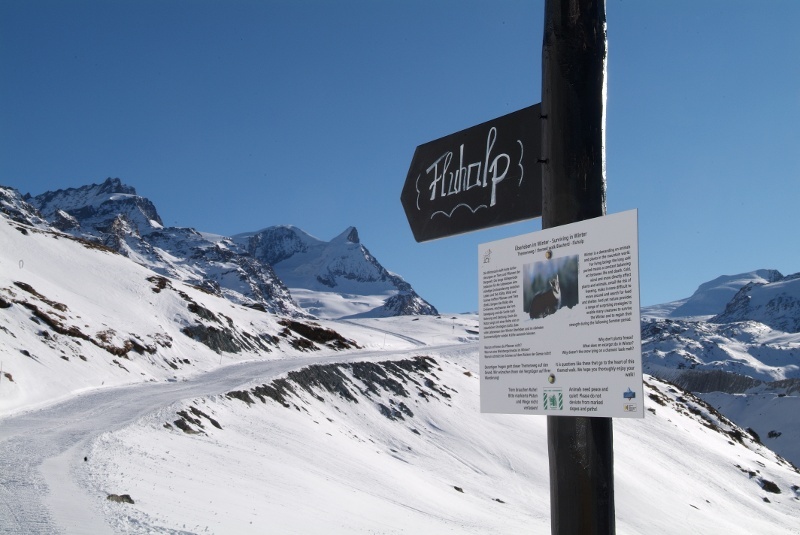 It maintains a more or less steady altitude of 2,500 m, following first a track and then a path towards Fluhalp. It’s well worth taking the time to read the information panels en route, which describe the survival strategies of the animals that spend the winter here. Marmots, for example, hibernate in family burrows; their body temperature sinks to 5° Celsius, and their hearts beat just ten times a minute. 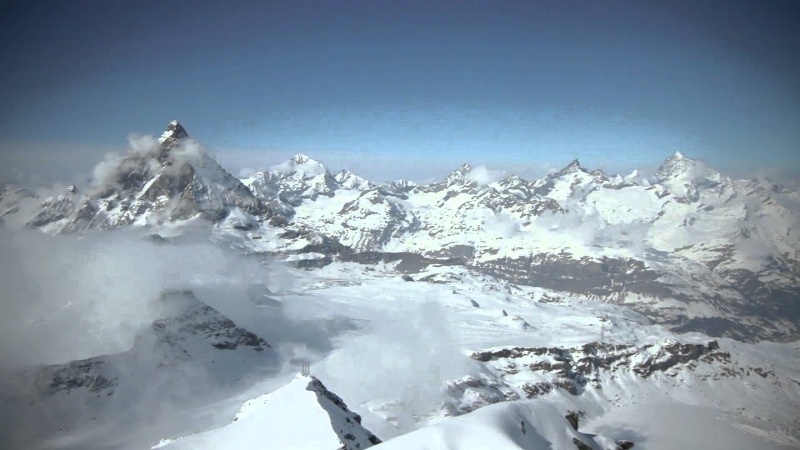 Tip for a photo: The frozen lake Stellisee with the Matterhorn in the background. Note: In case of avalanche risk, check that the trail is open (information panels at the lift station).